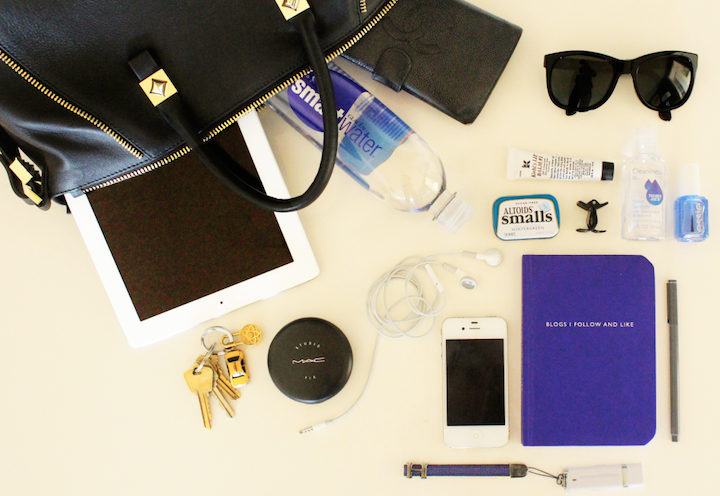 The Resident Tourist: What's in My Bag . . .
Books, magazines, newspapers, web browsing, etc. My lips can't live without this. I only like the smalls, Wintergreen is my favorite flavor. Comes in handy for a quick updo on the run. I'm a complete germ-a-phobe, so this is a must. For a chipped nail or run in your tights. I'm often a victim of both. The best for quick coverage and a matte finish. Never hit the streets without these. For ideas, thoughts, notes, to do lists, etc. So much lighter than carrying around my computer.